chocolate again! i do eat other things, i promise. 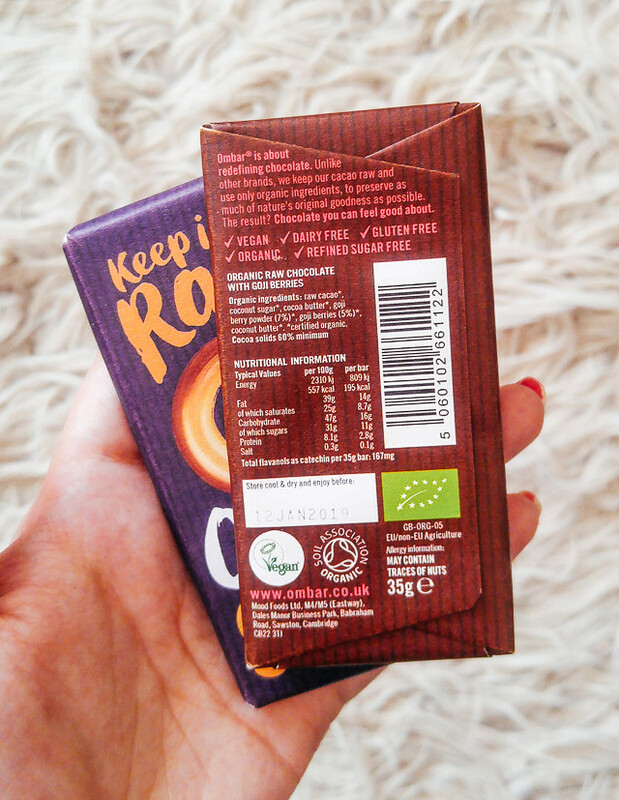 my first experience of trying raw chocolate was at a weekend:in event. i think it was matcha and rose flavoured? anyway, it was delicious and so full of depth and flavour. since then, for whatever reason, i hadn’t tried any more raw chocolate. then along came ombar! they send me some of their chocolate to try, how could i resist? obviously it’s gluten free, so safe for coeliacs. it’s also raw, vegan, organic and refined sugar free. i assume all of the bars apply to this standard, but if not, check before you try. this chocolate is quite strong and flavoursome. don’t let the fact that it’s raw make you think it’s not bursting with taste. i’m not a fan of coconut as a main flavour so i gave that to my boyfriend. i tried the goji berry, the mandarin orange and some 72% cacao buttons. i thought the mandarin would be my favourite, as i love orange things, but it was a little too intense for me. i could only really have a nibble here and there rather than a few pieces in one go. the mandarin flavour is there in both aroma and taste, but it was a little much for me. saying that, it feels like a definite grower, if i were to try it again. some things you need to get used to. the 72% buttons were my favourite. i’ve recently become a dark chocolate ‘convert’ and having it in button form makes it a little more moreish. it’s simple and strong and hits the palate just right. like any good dark chocolate, it has a natural fruity, floral taste. i wasn’t a fan of the goji berry bar at all. again, just my personal taste, others may love it! i’ve had goji berry things before and not liked them either, but i try to give things more than one chance. i’d love to try their strawberry mylk and coco almond flavours, as i sense i’d really enjoy those. this chocolate, although it has a nice ‘melt’, doesn’t have it in the same way more typical chocolate does. that’s not necessarily a bad thing. it is however nice and smooth and feels satisfying in the mouth. but if you want something ‘easy’, i’d say give this a miss. 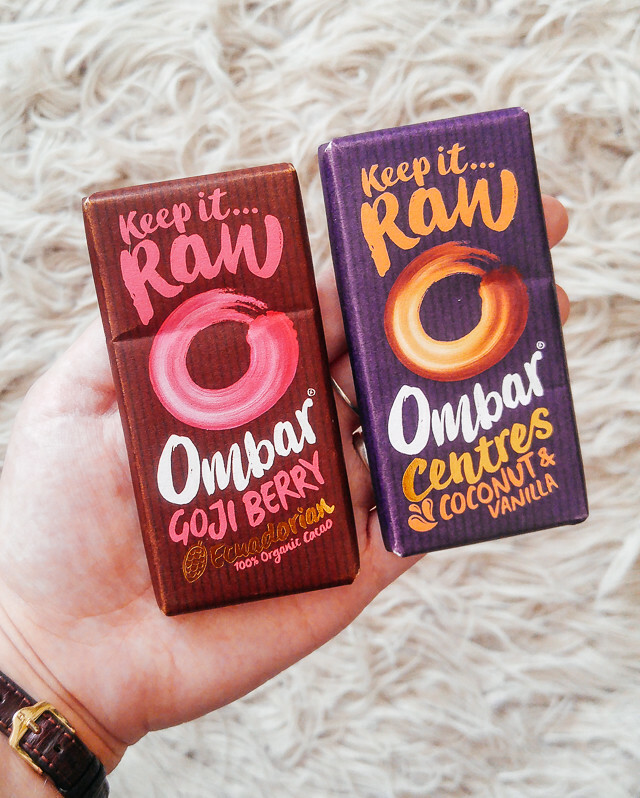 but if you want something a little more sophisticated that makes you think and be more mindful about your chocolate choice, ombar would make a great selection. as an aside, i really like the packaging too. well suited to the product, and definitely something i’d recognise straight away if i saw it in a shop. if you want to learn more about ombar, here is a good place to start. essentially: they’re made in the UK, they’re ethical, they use as few ingredients as possible, and they want you to enjoy what you eat. 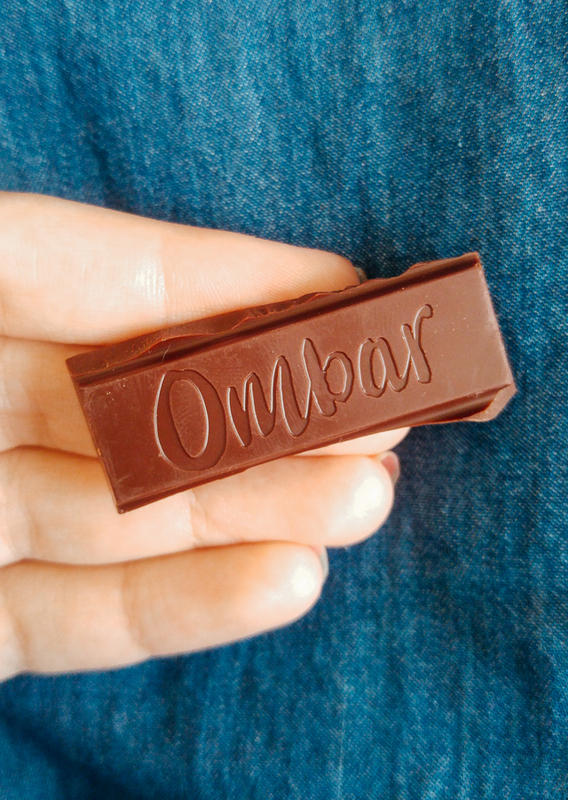 ombar chocolate provided for the purpose of this review. all opinions and photography my own.